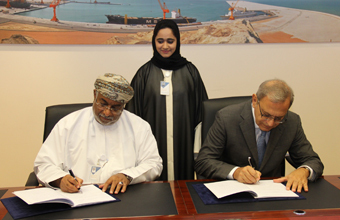 H. E. Yahya bin Said bin Abdullah Al-Jabri, Chairman of the Special Economic Zone Authority in Duqm (SEZAD), signed an agreement in his office in Oasis Knowledge Muscat (Monday, 14 November 2016). The agreement was on Consultancy Services Construction Supervision of Fishery Port (Marine and Road related works) awarded to Sering International Engineering Consulting Company in cooperation with ADK. Mr. Sergio Di Maio – CEO, SERING signed the agreement on behalf of the company.